Jackson vs Pakenham – Joining The Dots. 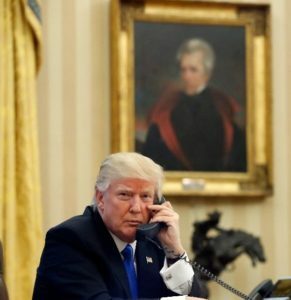 The photo over The President’s left shoulder is that of the 7th President of the United States, General Andrew Jackson. The other figure in red uniform, is General Sir Edward Pakenham. What do they have in common? These were the combatant leaders: Andrew Jackson the 47 year old militia and political veteran and Edward Pakenham, the 36 year old professional soldier, a veteran of the Irish Rebellion and Napoleonic Wars. The result: The American Army defeated the British Army. Pakenham was killed. Jackson became a populist war hero. Their legacies: Jackson – 1000 acre plantation owner worked by 150 slaves, the removal and resultant deaths of thousands of American First Nations peoples. A Presidency full of graft, ego and hatreds. 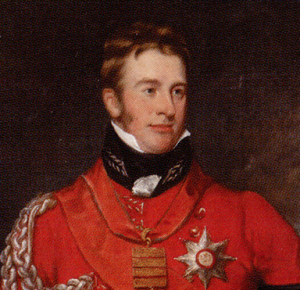 Pakenham – a revered leader, brother-in-law of the Duke of Wellington, loved by his troops, respected from nobles and politicians alike, a generous person who placed honour, duty, courage, modesty and cheerfulness as his life code. My ggg grandfather, Isaac Preston served under Pakenham in the 23rd Light Dragoons. (1797 – 1800). They were the same age, and went to school 5 miles apart, likely crossing paths in Armagh and at church, as boys. Isaac held Pakenham in high regard, always.